Send a pre-written SMS, optionally including your GPS location/street address if available. Prepare a message, for example "I will be late", including your GPS location. Open the app, click SEND, and the message is sent. Simple and quick! Want to let your loved ones know where you are without having to type the address? Ever sent a message to the wrong person because your texts are open to the wrong message thread? Do you type the same message, such as "I'm going to late" again and again? If you pick someone up every day you might be sending "I'm outside". 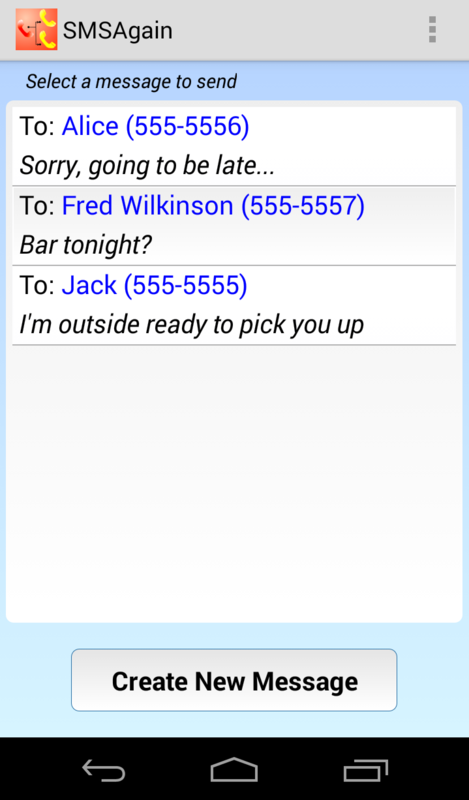 SMSAgain allows you to send that text quickly and easily.